The 1820s looked as though they would be the best of times for the special relationship between the fraternal order of Freemasonry and the young American nation. It wasn't just because so many prominent members of the founding generation-George Washington, Benjamin Franklin, and indeed 13 of the 39 signers of the Constitution-had been members. It was also because the rapidly growing republic and the fraternal society still held so many ideals in common. American republican values looked like Masonic values writ large: honorable civic-mindedness, a high regard for learning and progress, and what might be called a broad and tolerant religiosity. Indeed, says Steven Bullock, a historian at Worcester Polytechnic Institute and a leading scholar of the Masonic fraternity in America, Freemasons "helped to give the new nation a symbolic core." Not for nothing were the compass, square, and other emblems associated with Freemasonry emblazoned everywhere, even on jewelry, furniture, and table settings belonging to Masons and many non-Masons as well. 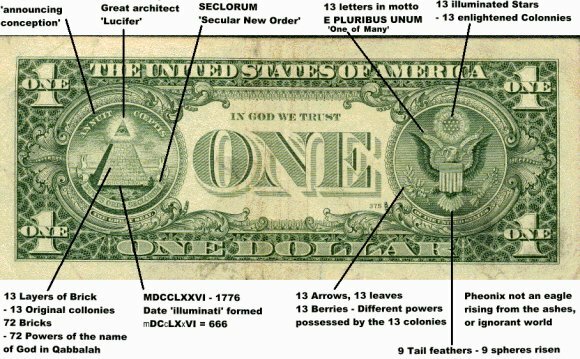 Nor was it insignificant that a goodly number of Americans thought-erroneously but justifiably-that the Great Seal of the United States itself contained Masonic symbols. It was both a tribute and a liability to the brotherhood that people saw the influence of Freemasonry even where it didn't exist. Since the Revolution, Freemasons had become the semiofficial celebrants of American civic culture. Wearing their distinctive aprons and wielding the trowels of their craft-the original Masons were in fact stonemasons-they routinely laid the cornerstones of important government buildings and churches and participated prominently in parades and other public ceremonies. When the aging Lafayette made his return tour of the United States in 1824-25, members of the "craft" (as Masonry is called) conspicuously greeted their fellow Mason, often inviting him to stay at the local lodge. That tour further boosted Masonic membership, which had grown from 16, 000 in 1800 to about 80, 000 in 1822, or roughly 5 percent of America's eligible male population. What are the Masons About?